As part of the management executive of the Program in Complex Traits Genomics (PCTG) based at the Institute for Molecular Biosciences (IMB) Anjali is responsible for the day-to-day running of the PCTG, including the coordination of their research activities and strategies, research governance and supervison of their high-through put genomics laboratory. Anjali has over 15 years experience in managing complex, large-scale research programmes and specialises in facilitating and managing interdisciplinary collaborations and consortiums. 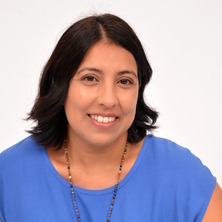 Prior to moving to UQ, Anjali was the Senior Project Manager for the Genetic Epidemiology Laboratory at the Queensland Institute for Medical research (QIMR) where she held an integral role in the management of large human research projects collecting biological samples for down stream genomics. Her significant contribution to these projects has been recognised by her inclusion in publications and commentaries. Luong, Hien T. T., Painter, Jodie N., Shakhbazov, Konstantin, Chapman, Brett, Henders, Anjali K., Powell, Joseph E, Nyholt, Dale R. and Montgomery, Grant W. (2013) Fine mapping of variants associated with endometriosis in the WNT4 region on chromosome 1p36. International Journal of Molecular Epidemiology and Genetics, 4 4: 193-206. Lavoie, Suzie, Allott, Kelly, Amminger, Paul, Berger, Maximus, Breakspear, Michael, Henders, Anjali, Lee, Rico, Lin, Ashleigh, McGorry, Patrick, Rice, Simon, Schmaal, Lianne and Wood, Stephen (2018). Improving Mental Health in Young People through Harmonised Collection of Data. In: , , (231-231). .